In this week's Fair Game, we wrote about Gov. 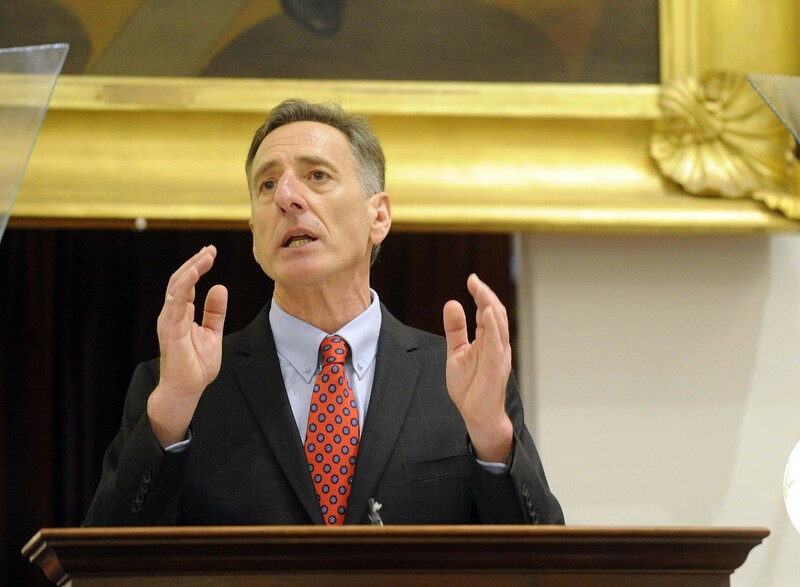 Peter Shumlin's pledge last month to waive executive privilege and release all documents related to his decision to end his long quest for single-payer health care. Shumlin made the commitment after WCAX-TV's Kyle Midura asked at a crowded Statehouse press conference, "Will you waive executive privilege for all backdated documents at this point related to this question so we can see what you knew when?" In response, the governor said, "There is nothing to hide on what we knew when, so we'd be happy to show you any documents you wish to look at." Regarding the Governor’s statements on December 17, 2014, the Governor was asked about waiving executive privilege on documents related to the specific question of Medicaid reimbursement rates. We feel that is reflected in the recording of the event. As this week's Seven Days went to press Tuesday evening, Vermont Public Radio broadcast a story by Statehouse reporter Peter Hirschfeld on the same topic. VPR filed a similar records request and was also told by the Shumlin administration that it had invoked executive privilege. But according to Hirschfeld, Shumlin himself provided a markedly different explanation than London. Shumlin says he never intended for him (sic) comments on Dec. 17 to mean that he’d release all internal communications related to single-payer. “Now no governor ever divulges inter-staff conversations, but what we did divulge was all the data that led us to the conclusions that we came to,” Shumlin said. Shumlin said he assumed Midura’s question referred only to documents that had been the subject of a long-running court case in which a legislator – Arlington Rep. Cynthia Browning – had sought access to worksheets, economic modeling, and other records related to the development of the single-payer proposal. Weird, huh? The governor's legal counsel tells Seven Days that Shumlin thought Midura's question related to "Medicaid reimbursement rates." But the governor himself tells VPR he thought it related to Browning's lawsuit. Why the discrepancy? Did the administration fail to get its story straight? Seven Days asked the governor's staff that question Tuesday evening, but as of this posting has not heard back. Of course, Shumlin's varying explanations are beside the point. It was clear to anyone in the room that Midura was asking the governor to waive executive privilege for all documents related to his single-payer deliberations. Midura himself told Seven Days on Monday, "I was asking to see the communications regarding single-payer health care and the conversations the administration was having surrounding the topic." And it was clear from Shumlin's "nothing to hide on what we knew when" answer that that's precisely how the governor interpreted the question at the time. Care to see for yourself? Just watch the following video (fast-forward to 1:59) recorded by VTDigger.org. Videos of the rest of the press conference are available here. We'll be sure to let you know when Shumlin comes up with his next explanation.